The Crayola No. 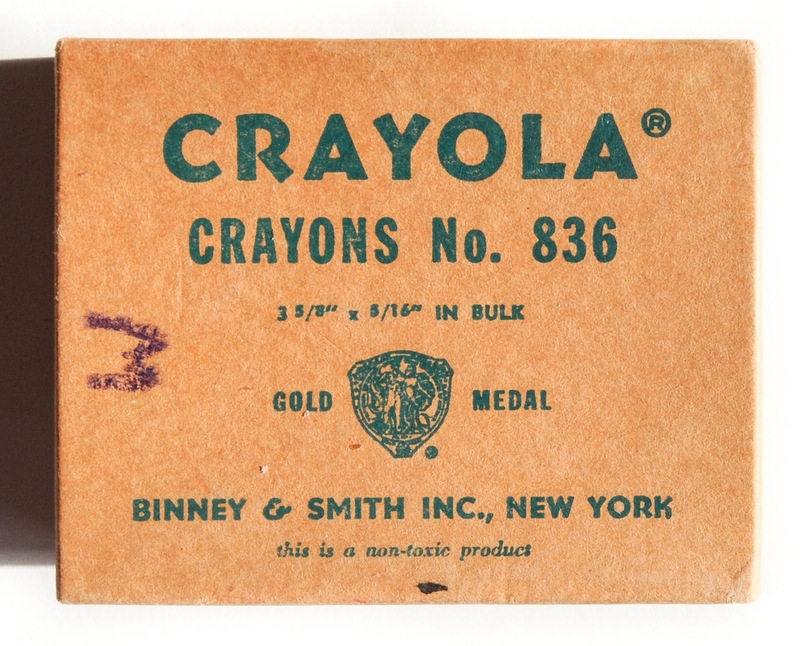 836 Gold Medal crayon box was made in the 1950's through the 1960's. It came in a few variations. 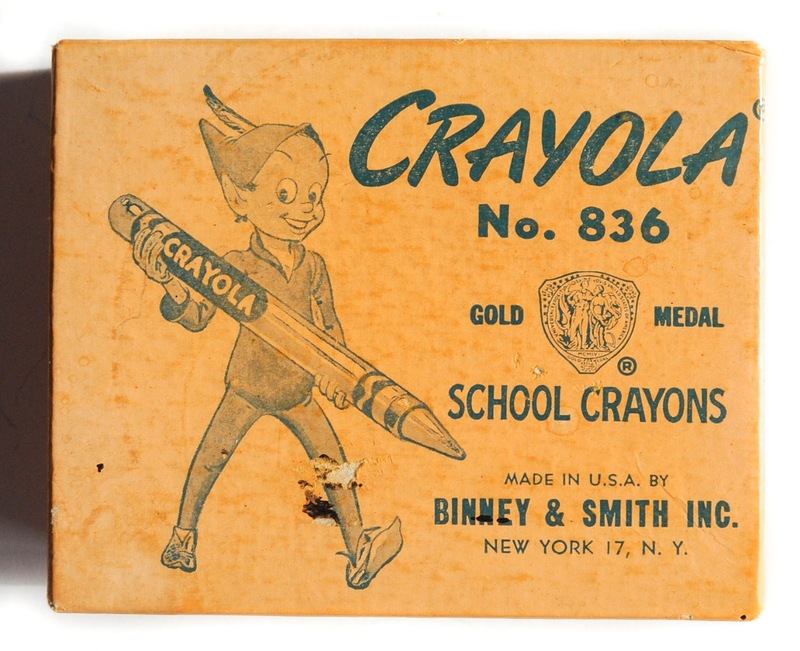 One had an Elf on the top of the box holding a crayon, the other had text on the front of the box with the dimensions of the crayon listed, 3 5/8" x 5/16". The Elf could have been an early variation of Crayola's character Tip which has been really popular in the 2010's. The Elf box contains the words School crayons on the front while the text box does not. 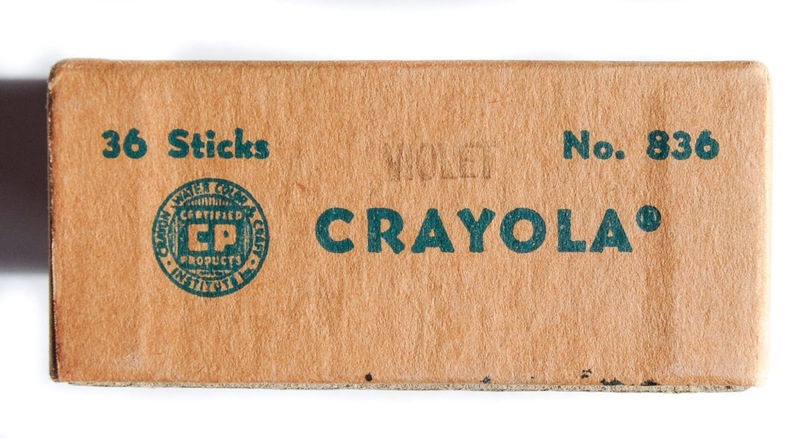 The crayon contained 36 crayons of the same color. It came in 6 colors. 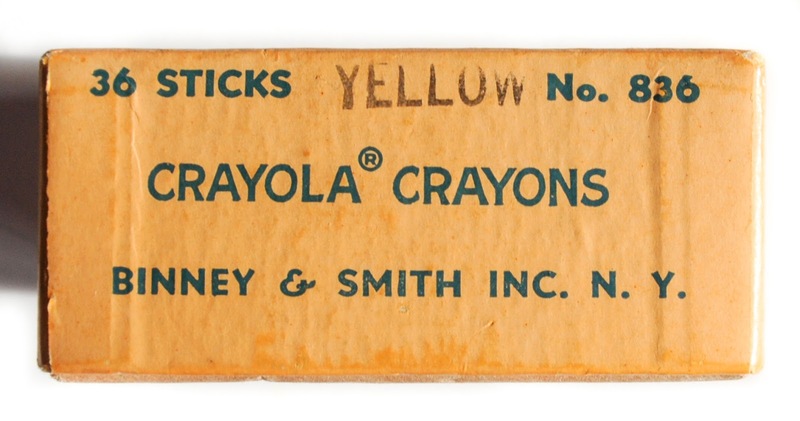 Unfortunately when I bought these boxes I did not read the eBay description properly and the original crayons were not in the box. But it is still cool to have these boxes. 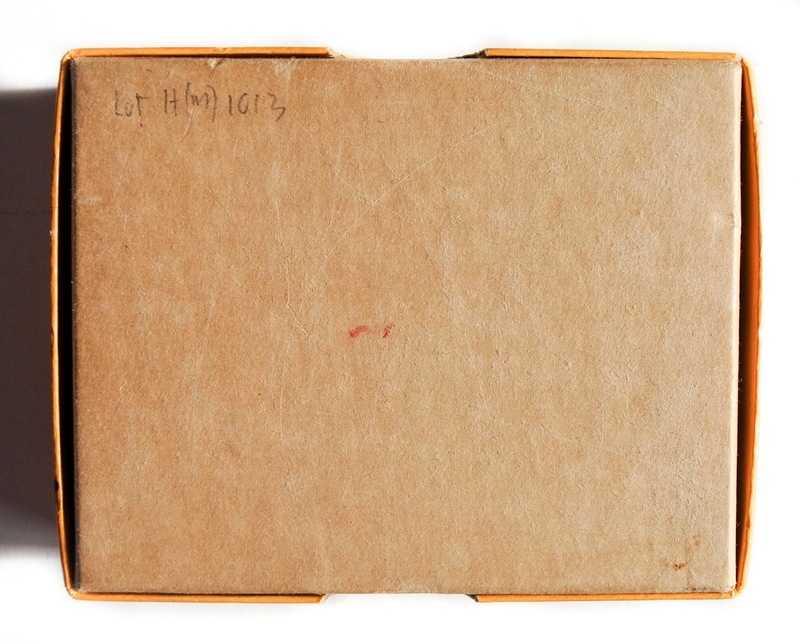 The boxes did not come in the tuck box design, but with a lid. 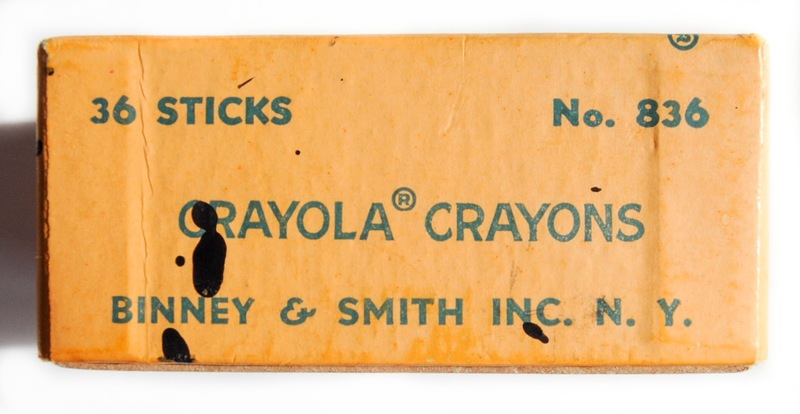 Boxes: Crayola School No. 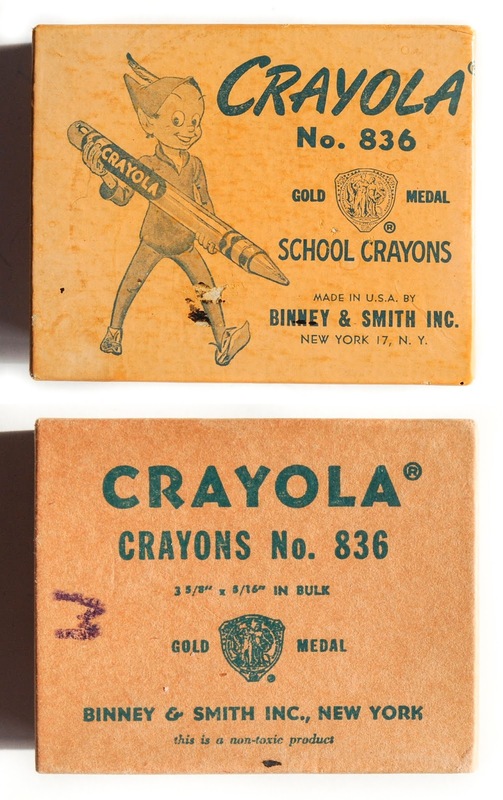 836 Crayons, Gold Medal, One has an Elf on the front the other just text.